Los Angeles, CA—A lot of people have little knowledge of what private eyes do beyond what they see on TV. That’s often a distorted image conjured up by a screenwriter based on perceptions obtained from yet other entertainment sources. Private eyes do a lot of different things like cheating investigations, accident investigations, and bodyguard work. They are often involved in efforts to prevent theft and investigate the numerous ways people take what’s not theirs. They do lots of interviews and interrogations and often serve court orders, subpoenas and such. I wear two investigative hats. One is doing various investigations for lawyers and their clients usually involving litigation. The other is producing and or reporting news stories primarily for television news or documentary filmmakers. The better private eyes really understand government record keeping and knows where to find documents that will make or break the cases. As for criminal defense work, it’s somewhat like the fictional investigator Paul Drake that worked with Perry Mason. However the PI is absolutely vital when someone depends on getting a fair trial when they may lose their life or liberty because of an over-blown or phony allegation. I have seen countless foolhardy lawyers work without an investigator. They lead clients to believe they are performing that function when by law they really can’t. If a lawyer discovers anything important while investigating for his client then he becomes a witness. Once a lawyer becomes a witness he can no loner represent his client. Lawyers all know that good investigators are really rare. Then there are those that simply dictate what they want and stupidly refuse a PI’s suggestions. That’s perhaps because they never found a competent investigator before. A criminal defense team is like a football team. There is the lead lawyer, clerical staff and in anything serious, expert witnesses must be found, vetted and brought inside the case. Then there is the investigator. The lead lawyer is the running back and the PI is the quarterback. If the accused is lucky enough to bring the PI early he can gather information and evidence while the cops are still investigating. Crime scene examination, searching for surveillance camera video, witnesses and physical evidence is much more effective if done quickly rather than months later. Cops and prosecutors usually tell their witnesses to not talk about cases or give interviews before the court tries the accused. A competent investigator can usually get interviews despite the best efforts made to prevent that. There is usually no law preventing witnesses from talking to anyone but prosecutors want to keep the defense attorneys in the dark but there is a larger problem. If the prosecution witnesses are lying their stories will crumble quickly because they can’t remember their earlier fibs. They will make inconsistent statements. The PI can lock in witnesses’ stories before cops and prosecutors that want to spin these tales in a better light improperly influence them. I called the PI the quarterback because he somehow gets some evidence. He must pass the evidence like a football to the lead lawyer so that the football can be rushed to the goal line. If the quarterback never gets the football to pass to the running back the team will never score. A good investigator will investigate the state’s witnesses looking for any kind of impeachment material. That includes criminal and civil court records, business license records, and psychiatric histories along with the use of prescription drugs, street drugs or alcohol. Friends, enemies, ex-spouses and lovers usually can provide a treasure trove of impeachment material if the PI bothers to do his job. A decent investigator brought in early enough can often derail a prosecution right in its tracks. Evan a lawyer can’t do that! Of course the lawyer must present that crucial evidence to the prosecutor before he has obtained a Grand Jury indictment. If a criminal case is headed for trial PI and the lawyers need to argue the merits of the evidence among themselves. The benefit is that the evidence is tested. If you can’t win the defense argument in the office it will be even more difficult before a jury. Frankly I’ve never seen a criminal case where so-called victims or government witnesses don’t lie about some aspect of the case. Exposing lies is really what defense investigation is all about. The sad truth is that too often cops also lie. That happens even when it’s a fellow cop who has been accused of a crime. In our world lies roll off people’s tongues routinely even while they are under oath! There are those people that lie even when there is no advantage to be made. If the could achieve the same result by telling the truth they would rather lie! It’s a significant reality of human behavior. Another sad truth is when prosecutors discover that their witnesses have lied in pursuit of the conviction of an innocent accused perjury prosecutions are nearly non-existent. On the other hand if defense witnesses get’s caught in a lie there is a perjury indictment issued well before sundown. I’ve also seen innocent people lie or try to arrange phony alibies in desperate efforts to avoid wrongful convictions. Once any defendant gets caught in the tiniest of lies juries are unforgiving. For any citizen under investigation by the police they should simply not say a word and ask for a lawyer. Remember Martha Stewart’s debacle a few yeas ago? Rather than ask for a lawyer she talked to the FBI. In the end they only thing they could prosecute her on and put her in prison for was for lying to the FBI during her interview! The last thing I will mention is cost. Hiring a lawyer for a serious felony will financially destroy most people. Paying for a PI in addition to the lawyer seems like a luxury but imagine what your lawyer will be up against if someone is not tossing him evidence to win the case? Too many layers only seem to care that they get their fee and then they don’t lose sleep over not having a PI. Below is a video that takes you to my world. Watch the courtroom scene and you may recognize my client Danny Bonaduce who was in court over a nasty event with a transvestite. Labels: Crime courts justice, Criminal Defense Investigation, Paul Huebl Crimefile, So you want to be a private eye? Most of the criminal lawyer hire a private investigator to find the truth. Because PI having the right eye to find the evidence which helps to solve the case. 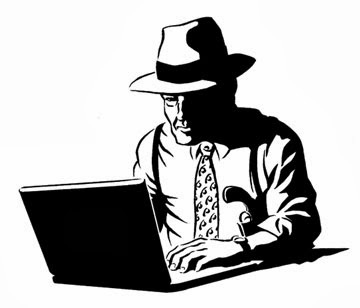 It's true at present time most of criminal lawyers hire a Private investigator.Private Investigators are hard-working experts who are adept at using computer technology & surveillance techniques,so Private investigator throw they can solve there cases. When you are falsely accused of a crime you are innocent about, you would most likely not mind how much you need to spend for a los angeles criminal lawyer to help clear your name. Nonetheless if you can think straight given such circumstances, you would be able to realize the importance of not compromising the quality of service you get from a Los Angeles criminal attorney.